I’ve written many times about gun control, the Florida“stand your ground” law, and about racially provoked incidents. Generally, these issues have not been in our community, but last Sunday Corey Jones’ vehicle broke down at the nearby Interstate 95 exit ramp in Palm Beach Gardens. He was a drummer in a band and therefore routinely traveled late at night. He was shot and killed by a police officer who emerged from an unmarked car and who was not in uniform while Jones was waiting for a tow truck. This has attracted national attention as potentially another example of a contentious police action. It is certainly at least a police indifference to an alternative protocol which may have obviated any shooting and it is too early to rush to judgment regarding whether it was racially provoked in any way. It seems the incident was fundamentally a deadly cocktail of circumstances. Corey Jones’ vehicle broke down on his way home from a gig in Jupiter, just north of where the incident took place. He called a friend who tried to help him get his car started around 2.00 am, but without success. He called for a tow truck and although his brother called to offer to pick him up, he didn’t want to abandon his car because of the valuable drums he was carrying. So around 3.00 am as he was waiting for the tow truck, he was accosted by Nouman Raja, a plain-clothed police officer who was driving an unmarked vehicle with no police lights. 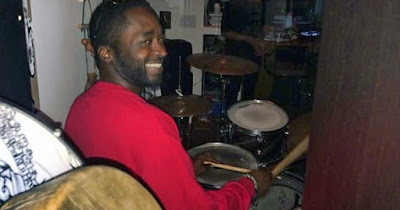 Corey Jones had a hand gun with a concealed weapon permit and probably thought he was about to be robbed and perhaps when the police officer saw the “suspect” with a gun, the ingredients were suddenly there for a deadly confrontation. Apparently, Jones never fired his weapon, but instead was trying to run away, his weapon being dropped half way between his car and where he was shot (three times according to the initial reports). Jones was known as a law-abiding, church-going young man with a passion for music. Only a week before he purchased the gun legally. He was concerned about his late working hours and that his usual compensation was in cash. So it all possibly comes down to mistaken identity, his not knowing that Raja was a police officer and the police officer not knowing whether Jones was a burglary suspect (an activity for which he was on stake-out duty nearby). Perhaps the most significant question that needs to be answered by the Palm Beach Gardens police is why Raja didn’t call for a marked police car to check out the vehicle. Given incidents in Florida involving fake police officers, bad guys who mount a red light on their dashboards and can stop a citizen with impunity, to rob the motorist or have an accomplice steal his car, how is one to know the legitimacy of being stopped? If Jones had been approached by a uniformed officer from a marked police car, it is unthinkable he would have gone for his pistol. Particularly disturbing is the slippery slope of gun ownership. Here is a case of merely possessing a legitimate gun being a possible causative factor in a needless, horrifying death of an innocent young man, a passionate musician. The more people who carry weapons, the more gun violence, and therefore more people feel they need a gun, a vicious cycle, intolerable in a civilized society. And it will become increasingly likely that “mistaken identity” will involve the police use of guns. There are obviously no simple answers but given the number of concealed weapons, many of which are carried in the glove compartments of a car, one would think that a plain-clothed police officer in an unmarked car should call for back up before approaching an occupied vehicle on the side of the road late at night. It is highly likely that Corey Jones would be alive today if that was the standard protocol. This sad unspeakable tragedy was so unnecessary.